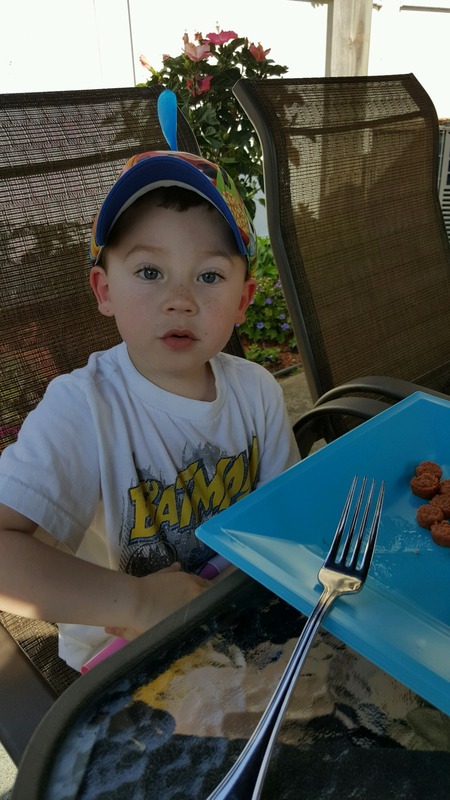 Gianni is a 4 ½ year old boy, with 3 brothers who love and adore him so much so that I believe if love could cure Gianni he would be healed. 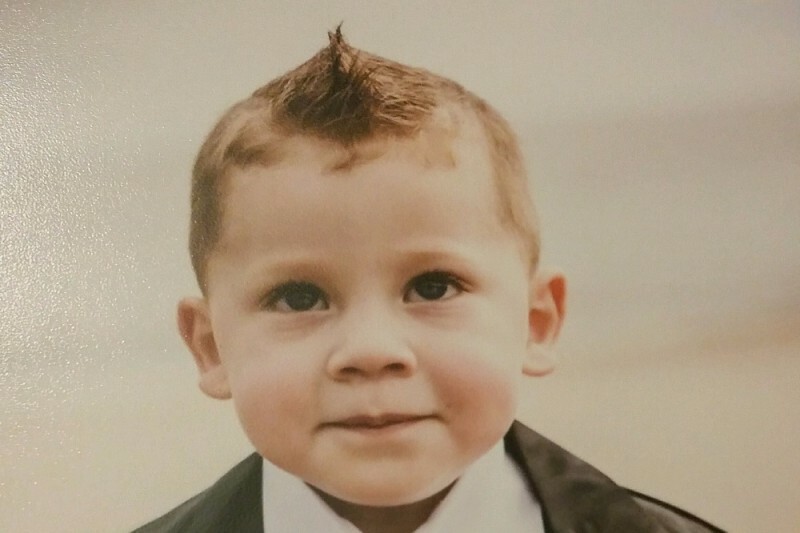 He was recently diagnosed with a rare brain tumor known as a Craniopharyngioma. Until that horrific day Gianni was a little boy who enjoyed playing with his brothers and going to school with his friends. 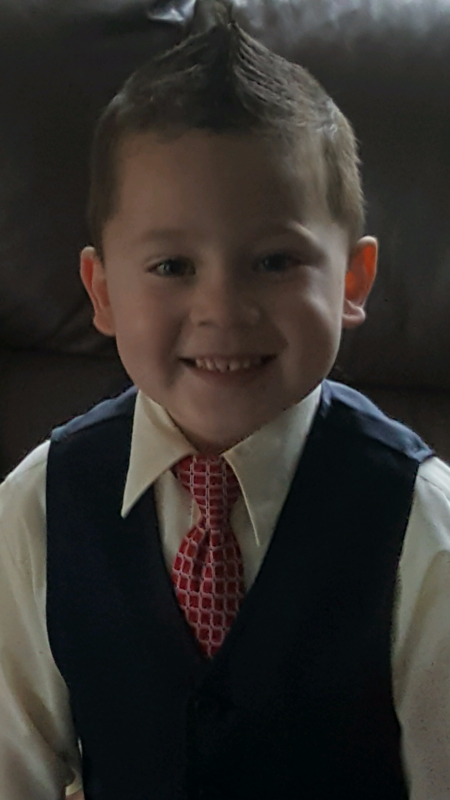 Unfortunately Gianni has not been able to attend school since his diagnosis in March instead of attending his Pre K Graduation at the end of the month he will be in Radiation Treatment. 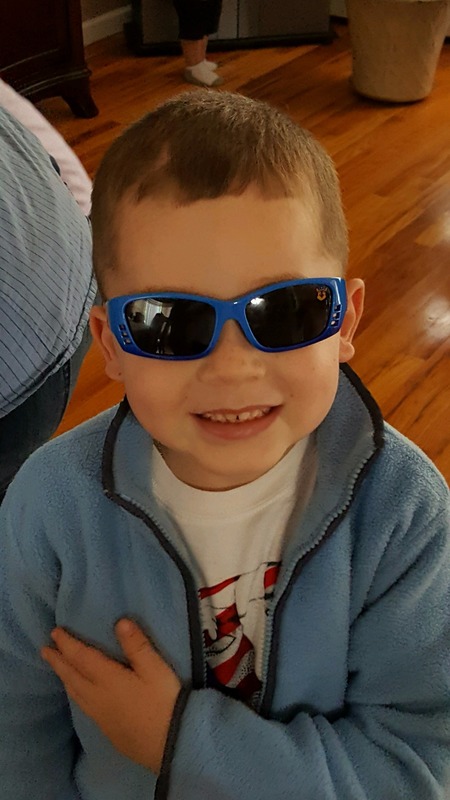 Gianni has lost all sight in one of his eyes and some in the other as a result of the tumor’s damage. He has already had 2 Major Brain Surgeries and several other procedures in an effort to remove this tumor. Gianni is currently receiving Radiation Treatment and is holding up like a real SUPERHERO we tell him he is, always with a smile on his face and never complaining about all he is going through. His recent Brain Scan shows that his course of treatment may have to be changed and or require additional Brain Surgeries. Regrettably his medical situation has caused a financial burden on his family and we are asking that you consider donating to assist his family with any medical needs. Thank you ALL for your Donations, PRAYERS, and support ! My family and I want to update you all on Gianni's progress, we are happy to say hes doing well. While he has had a few bumps in the road and still has a very long battle we are blessed at how well hes doing. Please be advised that there are people out there who are trying to collect money using this Go Fund Me Info and saying it is for Gianni's Funeral I can assure you that is not the case. This is a scam PLEASE do not hand anyone over any money in person and if you want to donate please go through this page only. Gianni along with his parents want to say how extremely grateful and appreciative of all the money raised here by everyone , we feel very fortunate to have you all in our lives and your donations have helped tremendously and for that I could never thank you enough. On Behalf of Gianni's Parents Kelly & Anthony Incandela we just want everyone to know how much your support means to our family. Gianni has finished with his radiation and we are waiting for his next scan to find out if it has helped. Gianni's family is having a Fundraiser in his honor on Thursday August 4th at 7 PM at the El Caribe I hope many of you will join us. Lastly my family and I just want to thank all of you that have contributed with your donations, prayers and support for our SUPERHERO it has been very overwhelming and we are extremely grateful. My family and I are very overwhelmed and very grateful to all who have made donations and we ask that you all continue to pray for his recovery. Thank you all for your generous support we are very grateful to each and everyone of you. We are finally able to make a contribution. Thinking of you. I want you to know that my family will never forget your kindness Kelly with taking care of Allegra and for all of your help bringing her to school everyday. It really meant a lot and if there is anything that we can ever do for you, please don't hesitate to ask. Gianni is such a sweetheart and we wish him and your family all the best. IF MY TAKING GIANNI'S TUMOR AND ALL POSSIBLE CANCERS FROM HIM...IF SUCH WOULD SPARE THIS BEAUTIFUL LITTLE BOY'S LIFE...I WOULD SWAP PLACES IN A HEART BEAT! I HAVE SURVIVED THREE VARIOUS BOUTS OF CANCER, MY MOTHER DIED OF CANCER. THIS LITTLE BOY DESERVES HIS PLACE IN LIFE AND A CHANCE TO BE A BIGGER HERO THAN HE ALREADY IS! CRAP...I AM CRYING WRITING THIS..BUT AS A 72 Y/O MAN, I HAVE EARNED THE RIGHT TO CRY FOR LITTLE PEOPLE LIKE GIANNI! I WISH GIANNI AND HIS WONDERFUL FAMILY THE BEST IN LIFE AND A SUCCESSFUL OUTCOME TO HIS TREATMENT! BLESS YOUR FAMILY, GIANNI, AND MOSTLY YOU!